While my patient was sleeping (ok, it's my husband recovering from a knee replacement...they can be such babies!) I stole into the studio for a little me time. New goodies arrived in my mailbox while I was out of town, and I have had so much fun deciding what to play with first. Using what was left of a favorite Authentique paper pad and teaming it with a new stamp by Reverse Confetti. 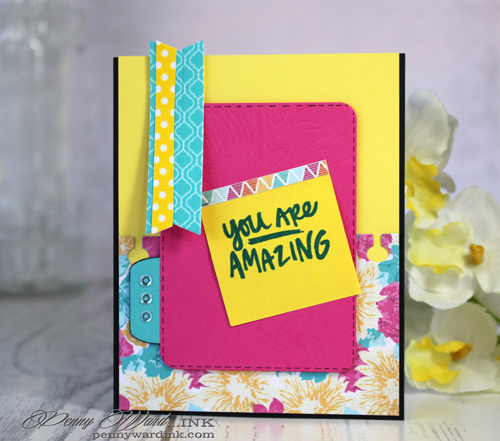 How stinkin' cute is the new Woodgrain die panel?!? Bright, colorful and just so much fun!! 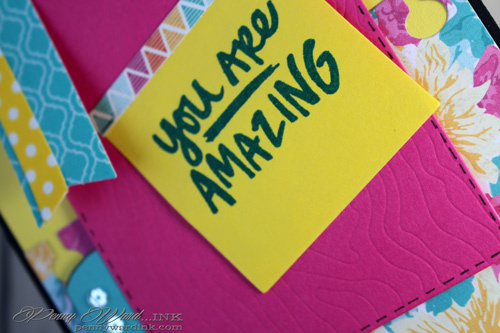 Your card is amazing...love the bright colors! Thanks for playing with us at SFYTT!